I don’t do too much digital scrapbooking. I know I should do more and someday I’ll be sorry I didn’t but whenever I sit down to craft, I always end up making hybrid projects (greeting cards being my favorite). So I’m always a bit in awe (and maybe a bit jealous!) of the scrap pages the creative team makes. 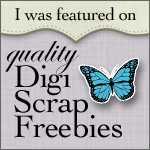 This entry was posted in Digital Craft Kits, Scrapbook Pages and tagged Digital Scrapbook Kits on May 3, 2013 by Cathy. I’m so ready for spring (but woke up to snow!). This digital scrapbooking kit is full of spring colors and and images – even some spring subway art. The images and some of the papers have a chalk-like finish, just for something a little different. This kit is great for hybrid crafting because it includes digital cutting files for all the mats, labels and sticker images. The Creative Team came up with so many beautiful projects – they are really amazing! Here is the inside – so cute! Cathy created this beautiful gift box. Check out the flowers – oh my! Melinda made this amazing altered canvas. One of these days I’m going to try this!! I have even more projects to share tomorrow!! This entry was posted in Digital Craft Kits, Gift and Home Decor Items, Scrapbook Pages and tagged Cutting files, Digital Scrapbook Kits on March 8, 2013 by Cathy.